We all already know the two biggest Public Cloud providers are Amazon Web Services (AWS) and Microsoft Azure and, unless a catastrophic event occurs, these two will be leading the market in the next couple of years. 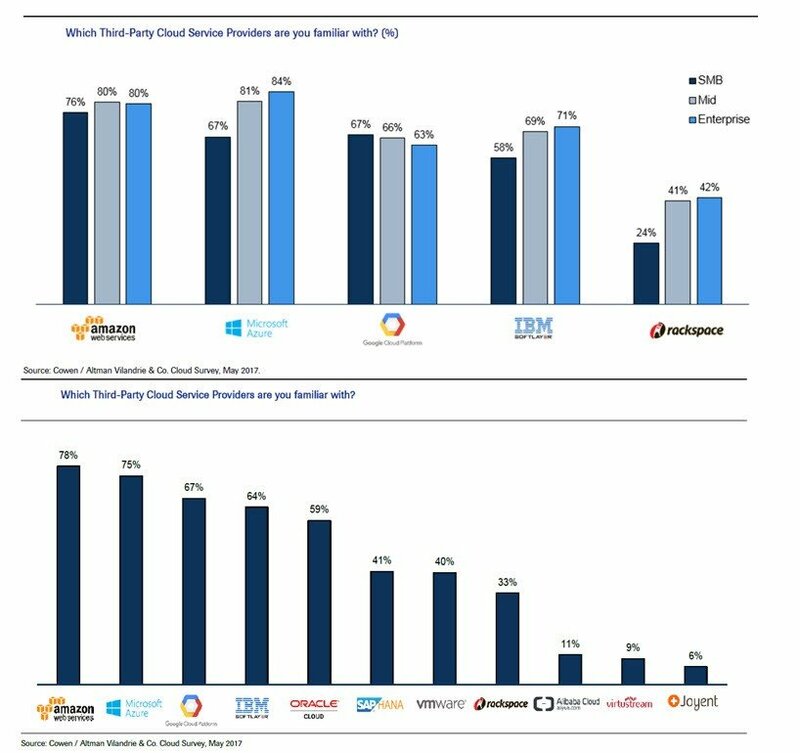 A recent study between 550 companies showed some interesting results: AWS is the most preferred vendor in SMBs; Microsoft the “most known” in enterprises; AWS has been reviewed the most between all companies but Azure is the most used. The study was developed between Cowen and Altman Vilandrie & Company, both companies offering research consultants. The report (client access required to obtain the PDF file) was not only focused on AWS and Azure, also included references about Google Cloud, IBM, Rackspace, Oracle Cloud, SAP HANA, Virtustream, etc. Microsoft Azure is the most-used Public Cloud among the survey and the most likely to be purchased or renewed (28% of all respondents). This is something that confirms a trend in most companies, Microsoft is taking new and existing public cloud market share. AWS came in second in the preference for buying or renewing with 22%. AWS is the vendor most SMBs are aware, Azure is the most used in the enterprise. In SMBs, the second vendor is actually tied between Azure and Google Cloud. For enterprises, AWS is second and third is Google Cloud. 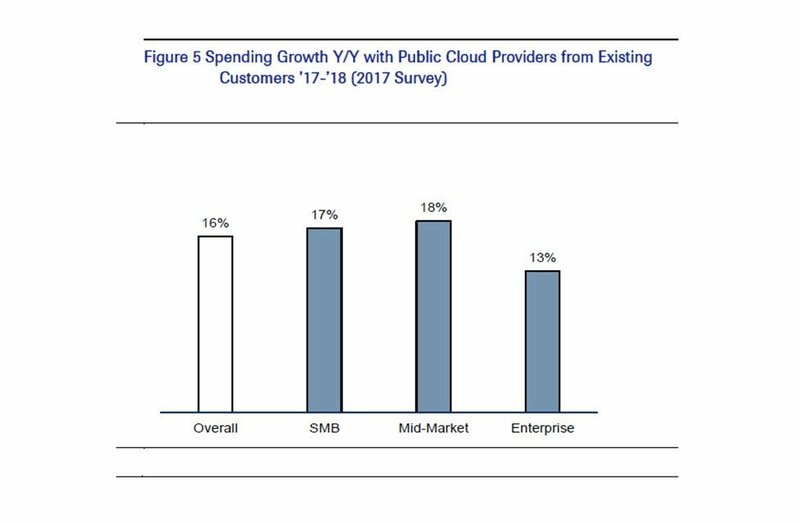 Public Cloud spending will grow 16% in this year. 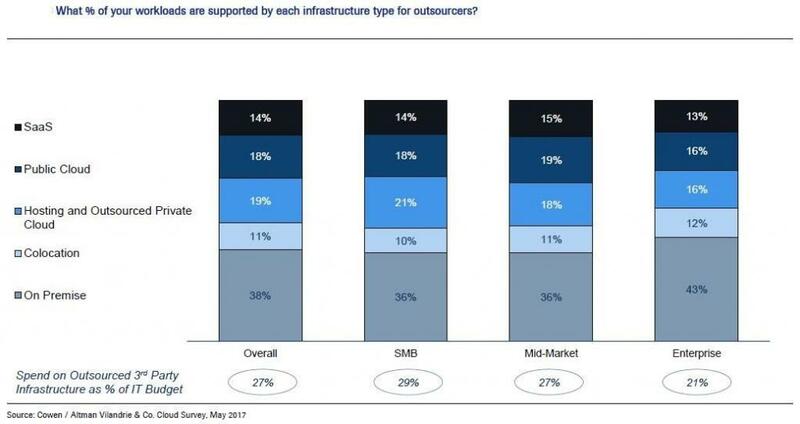 This is not a surprise since cloud services have been in the last couple of years as the steadiest growth in the IT market. For existing cloud customers, over 53% of AWS consumers are planning to add a different vendor or completely replace AWS. This could sound as a scary statistic since it might be taken as a discontent from AWS users, but we should consider the multi-cloud scenario is something that several companies are embracing to avoid “putting all eggs in one basket” or the simple reason to take advantages from different worlds to enhance their services. On-premises is still the preferred location for workloads in all segments. Enterprises include the largest percentage with 43% of their workloads with an on-prem location. The overall average between all segments is 38%, which will keep on reducing slowly as the public cloud services continue their expansion. 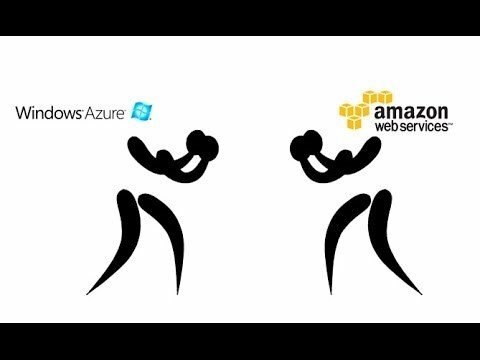 The battle between AWS and Azure for sure it won’t be over anytime soon, with these two competitors going strong on dominating the public cloud market will translate into something beneficial for all customers. Their fight will keep on getting appealing to SMBs, new services and functionalities will keep enterprises interested.